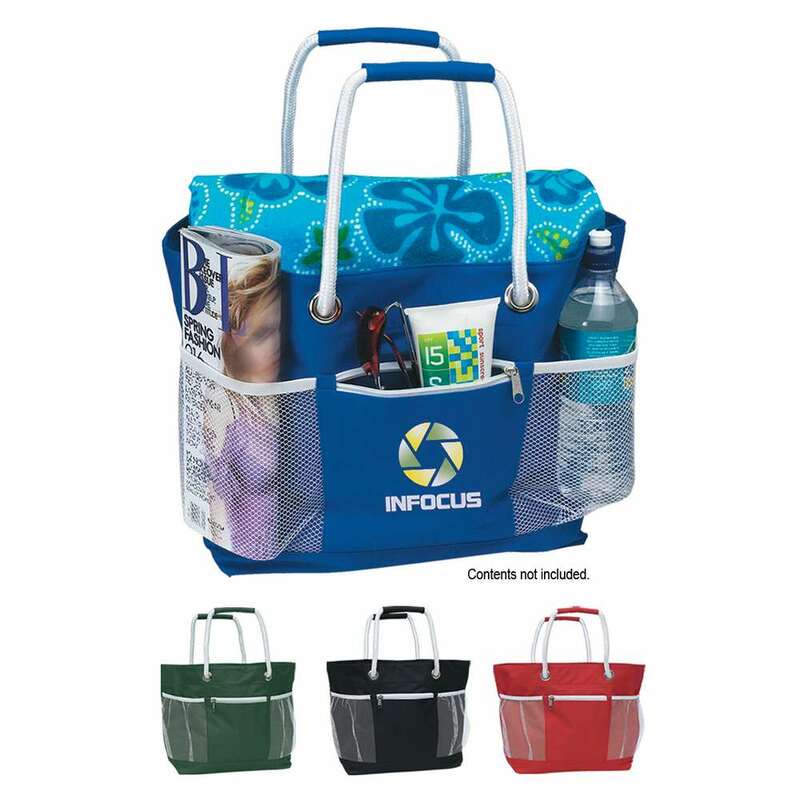 The Rope-a-Tote Bag Screen is an attractive, colorful bag that creates a lasting impression on onlookers. Print your business logo, on the prominent imprint area, to gain immense visibility for your brand. 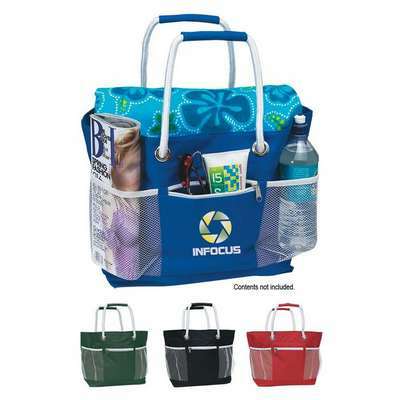 The Rope-a-Tote Bag Screen is an attractive, colorful bag that creates a lasting impression on onlookers. Print your business logo, on the prominent imprint area, to gain immense visibility for your brand. The tote is made from 600D nylon material. It has two large outside mesh pockets, zippered front and inside pockets. The22" rope handles, with fabric covered grip, enable easy transport. The tote bag is available in royal blue, forest green, red, and black colors. Get this cost effective, high exposure solution for your promotional needs by giving away the tote: at trade fairs and expos.